I’m always amazed by the exorbitant prices of Italian restaurants in Asia. Italian food is so simple compared to the pounding, frying and flavour balancing of the twenty odd ingredients in a Malaysian dish. £8 for spaghetti aglio, olio e peperoncino! Seriously? That’s just four ingredients. When a plate of char kway teow sets you back £2 – or a masala dosa, with its fermented rice and lentil pancake batter enveloping a spicy potato masala, with chutneys and dahl for dipping, is just 50p? Eat Asian out and cook Italian in. Giornata della Pasta lunch was an even simpler affair of linguine alla vongole, inspired by the mountains of fresh blood cockles in the fish market. Steamed with garlic, parsley and a squeeze of lemon, and tossed with chopped tomatoes, we still weren’t regretting the carb overload. INSTRUCTIONS: Bring a large pot of water to the boil. 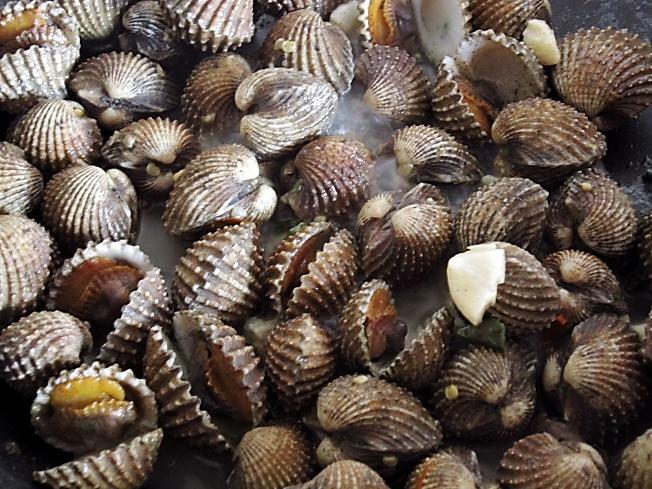 Meanwhile, steam the clams and the smashed garlic in the wine and a couple of tablespoons of water. Add the pasta to the boiling salted water. 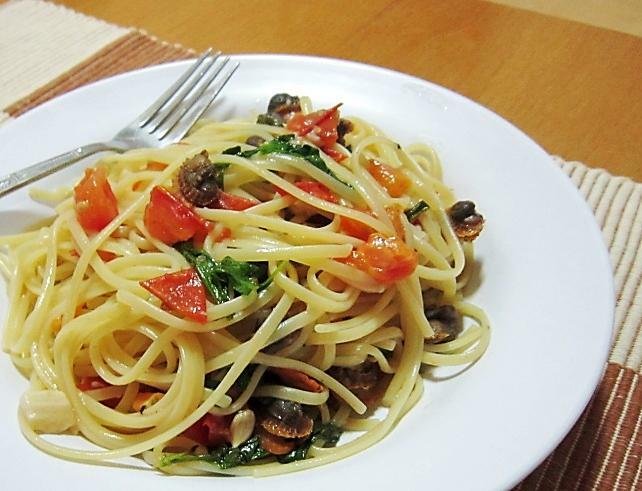 Drain when the pasta is just al dente, reserving a ladleful of cooking liquid if necessary, and toss with the clams and tomatoes. Scatter over the chopped parsley, season and heap onto plates and enjoy.